Ludington locals love to brag about Chef Leo’s fantastic culinary skills. 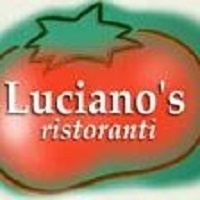 Known for their homemade dishes like mouth-watering Eggplant Rollitini and Veal Luciano, Luciano’s Ristoranti is one of Ludington’s best. Even if you’re after something a little more simple, go for one of their award-winning gourmet pizzas. Enjoy all your Italian favorites in a relaxed, family-style setting at Luciano’s Ristoranti.